Below is pics of a large bone cyst in the shaft of the proximal phalanx of the fourth toe. The patient had chronic pain, swelling and microfractures in the bone due to the cyst. 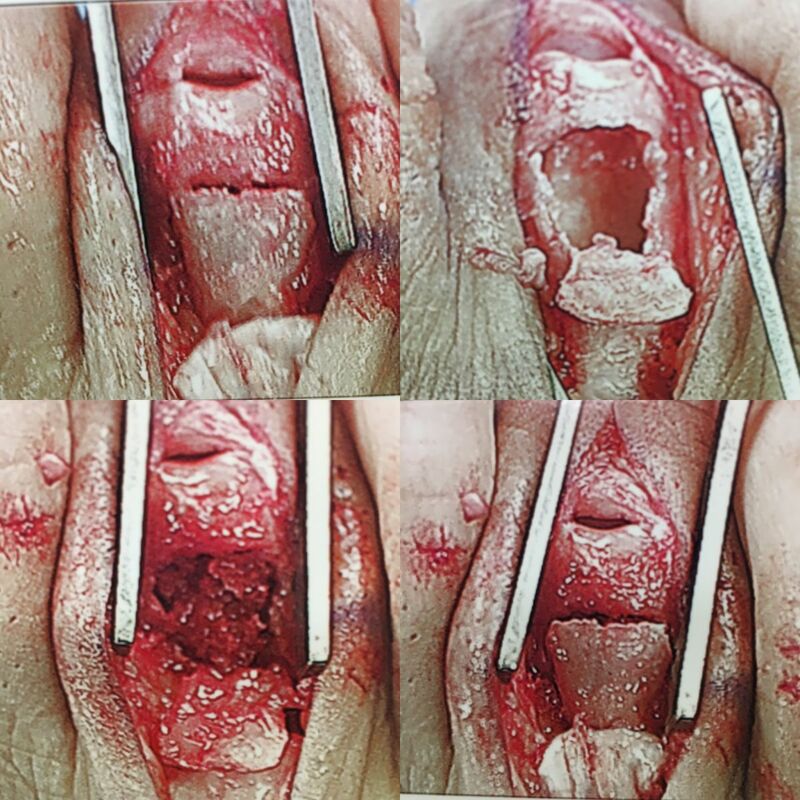 We make a window on the top of the bone, curette and clean out all the abnormal material and then pack it with bone graft from the patient's heel. Bone Cyst at Big Toe Joint after Previous Injury. We resect the smooth the area to stop pain and diminished motion.